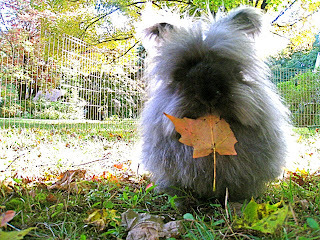 potentially nervous: yummy yummy yummy i got leaves in my bunny. yummy yummy yummy i got leaves in my bunny. a lovely autumnal Fats portrait, did the leaves taste good? Ooh love, I wont let you go, Fats. Damn it!! I keep singing that song!